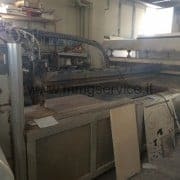 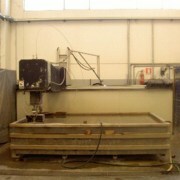 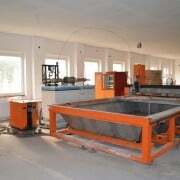 List of used, second.hand, CNC Waterjet Machines for natural stone and metal working. 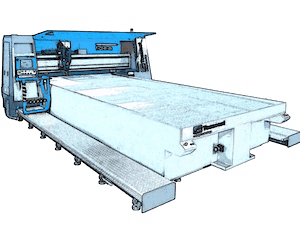 The main applications of Waterjet machines are cuts, engravings, and inlays. 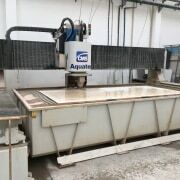 They’re CNC machines with usually 3, 4 or 5 axes (but they can also have more interpolated axes) which differentiate themselves from other traditional work centers because of the use of water cut technology. 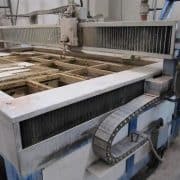 Cuttings are not executed by diamond blades or wires, but thanks to the use of a high-pressure water jet that applies a precise cut or engraving. 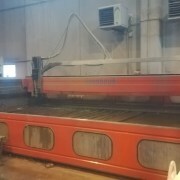 Available listed waterjets come from bankruptcies or companies who updated their machinery. 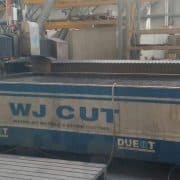 Used The Waterjet was in warehouse for 15 years. 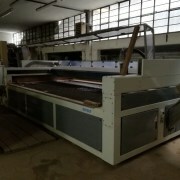 It started to work again last year.